It was Monday. 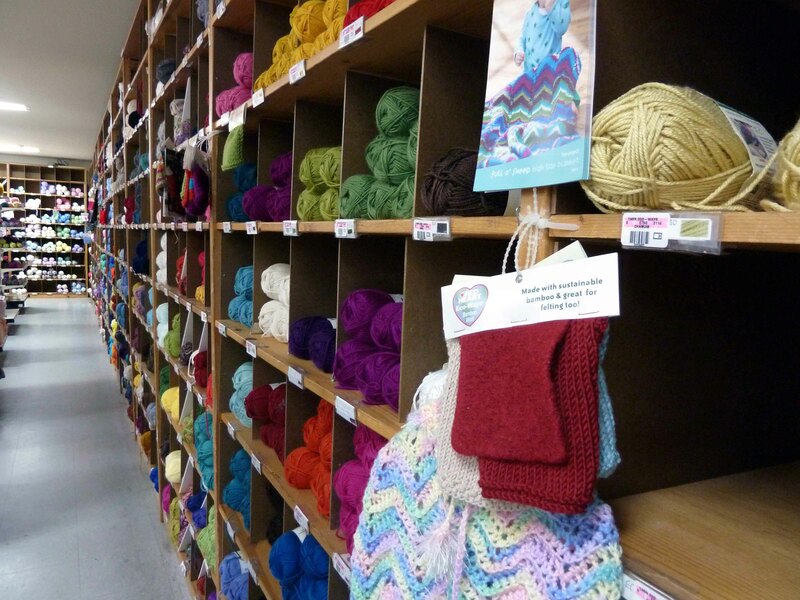 The knitting store equivalent of a holy day. I know this must be true, because despite the myriad shops found on my iphone only two were open. We were in Rancho Bernardo, CA and leaving bright and early the next day. It was as apparent as bright pink underpants under white slacks that for a visiting knitter jonesing for a yarn fix to wait to to the last minute to find a yarn shop was as bad an idea as wearing bright pink bright pink underpants under white slacks. I guess I could’ve foregone the hot air balloon ride in favor of the best local yarn shop. Yeah right! Even I am not that addicted. Yarning For You and Common Threads were closed because of the holy day, Stitchers Treasurers didn’t look a knitting place, Twisted Sisters turned out to be a wholesaler, and Knitting by the Beach, was not only closed, but about to be closed permanently according to their answering machine. I was especially bummed about Yarning for You being closed, because with a name like that how could I stay away? 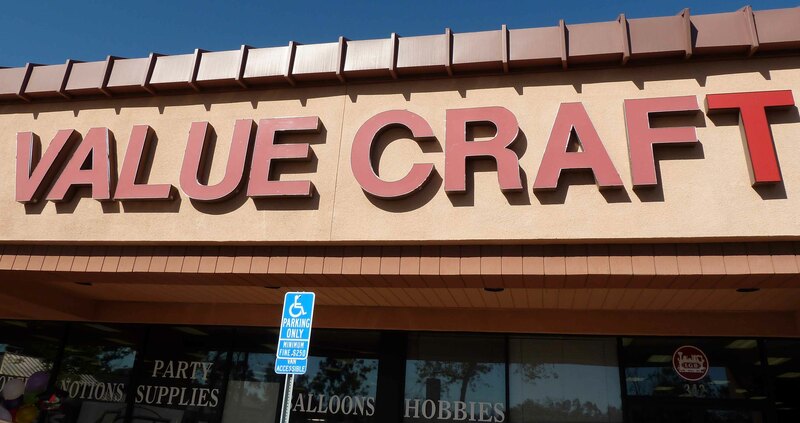 Much like a person who chooses a bottle of wine based on the label or a book based on the cover, I will choose a yarn shop based on a clever name. As to the others, I plead the fifth. So my only nearby options, Value Craft and Black Sheep, were going toe to toe. I do love a bargain, but had a feeling I knew what options they would have. Value Craft was against the ropes with Black Sheep delivering merciless body jabs, but the bell hadn’t rung and the ref hadn’t intervened just yet. I went onto Yelp and Value Craft delivered a knock out punch to Black Sheep when I read the reviews. Such ominous warnings as, “I want to love this store but I can’t. I have been in this store 3 times and all 3 times I have heard them make horrible remarks about their customers as soon as they walk out the door and they don’t even care who hears them…” or “Do not find the staff to be that friendly or helpful.” and “I have yet to be greeted warmly. But I can guarantee a thorough inspection of your person and intent if you skulk around long enough.” also “Maybe they were too busy to be nice. Maybe I didn’t look rich enough.” So, Black Sheep was one of “those” yarn shops and frankly I wasn’t in the mood to deal with snobby people. Value Craft received the title belt. Off to Escondido we drove. Value Craft was pretty much what I expected. Let’s just say, that I never knew there were so many different kinds of Red Heart. Nothing like the warm glow of florescent lighting. On the up side they had things for the fam to look at and I did get the last three balls of Lion Brand Hometown USA that I wanted for a scarf. They cost $4.69, as opposed to $4.79 at JoAnn Fabric, so it was a value. And they did have a large yarn section, even if it was 87% Red Heart. For some it would be a knitting nightmare. As I wandered along the florescent lit linoleum tiled pathways of metal and wood shelving, complete with one dark section from the out light fixture, I was brought back to my childhood when I walked similar hobby aisles in the little Ben Franklin, now long closed, in the sleepy small town my grandparents lived in. It was at the Ben Franklin I purchased the eight gazillion strands of floss needed for the table cloth I would start embroidering in my early twenties and my mother would finish for me over ten years later. 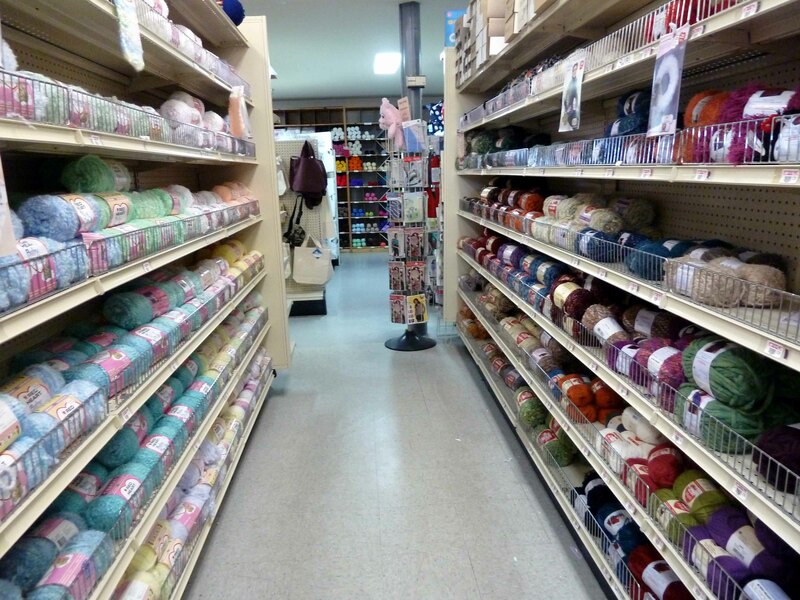 So, though Value Craft is as far from a luxury yarn shop as it is possible to be, I still enjoyed my visit.